Today I am sporting on my nails, a Glitter Manicure which are in rage all over the blogging world these days. For this manicure I started off by applying two coats of Lakme Color Crush in 02 on my nails and followed it up with one coat of Jordana Silver Jewel (my only glitter nail paint). 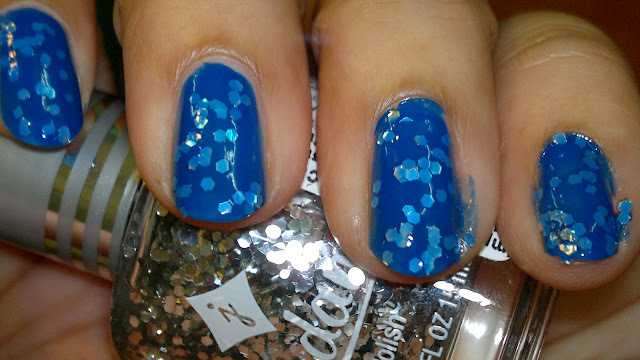 Once it dried, I aplied a thin coat of Lakme Color Crush 02 again on my nails. Hope you girls like it tooo!!! i like it..your nails are looking cool.. 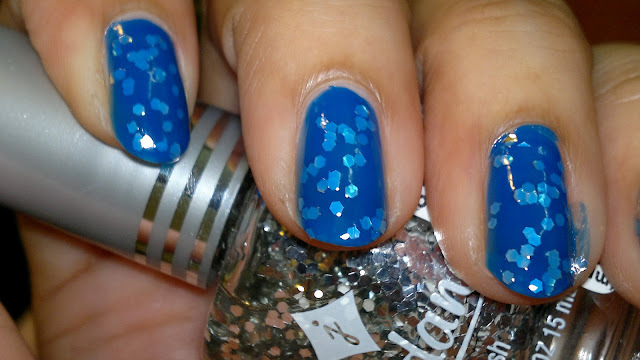 The silver glitter looks very pretty with blue.